Have Fun with a Flan! A gluten-free flan I hear you ask? Fear not, with the right pastry and a little flour you can have loads of flan (ahem, get it!) with my gluten-free recipe. Opa! 1. Roll out the short crust pastry onto a floured surface to stop it sticking. If you are using Jus-rol pastry it is already done! 2. Using margarine or butter, put a little around the edge of your oven proof dish. 3. Place the short crust pastry in oven proof dish. 4. Add the bake pie weights on top (baking blind). 5. Put in oven around 180°C and cook the pastry for around 15 minutes until golden brown. 6. Chop the onions and peppers and fry in a pan along with the spinach. 7. Whisk 2 to 3 large eggs in a jug, add a little dairy free milk. 8. Once the flan is cooked, take dish out of the oven and remove the bake weights. 9. Add the onions, peppers and spinach and drizzle on the whisked egg. 10. Add a sprinkling of cheese. 11. Pop dish back into the oven for a further 15 to 20 minutes. You can add anything you like to the flan to make it tasty! 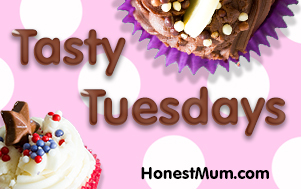 For this blogpost I have linked up with Honest Mum’s Tasty Tuesdays! If you liked this post you may like my spinach tarts! Don’t forget to pin this on PINTEREST! Check out my Pinterest board!